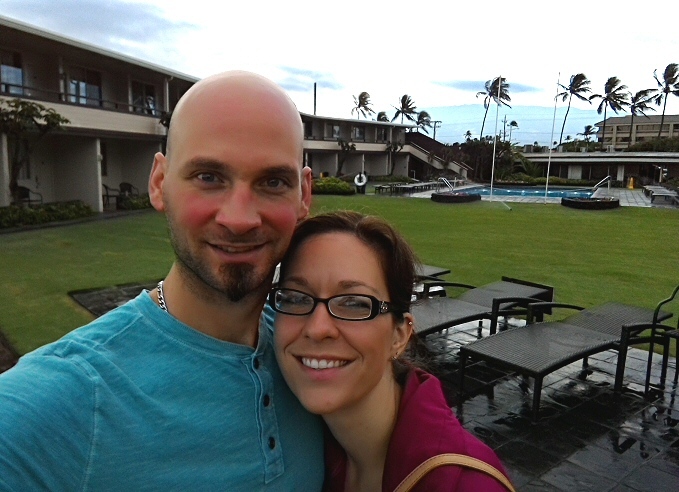 To kick off our Hawaiian get-away in September, Nicoleen and I stayed one night at the Maui Seaside Hotel in Kahului. This small, Hawaiian-owned hotel is located a few minutes from the airport, which was the main reason we chose to stay there. Since our flight arrived after 8:00 P.M. we needed an inexpensive place to sleep to avoid wasting a free night at one of the two main resorts of the trip. A one-night stay doesn’t provide a lot of material for a review. On the other hand, a short stay really puts the hotel to the test. They get one chance to impress you, so they better get it right! Let’s see how well Maui Seaside Hotel did at impressing us. . .
We booked into a “standard room” with two double beds. As far as I can tell, the only difference between the different room types is the size and location. 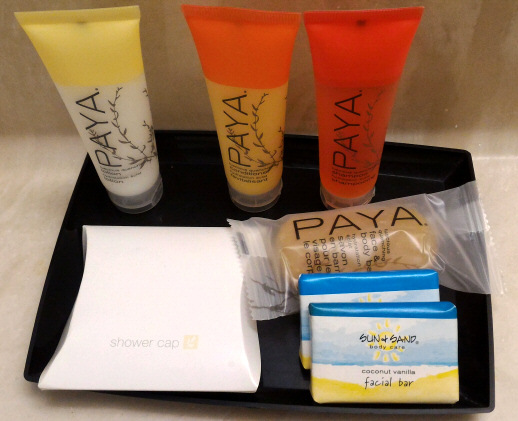 The website lists virtually identical in-room amenities for each type. Every room type has only two options for bed configuration: 1 king or two double. The standard room was nothing special. The TV and table and chairs were one one side of the room and the two beds were along the opposite wall. The bathroom was small but adequate for our short stay. 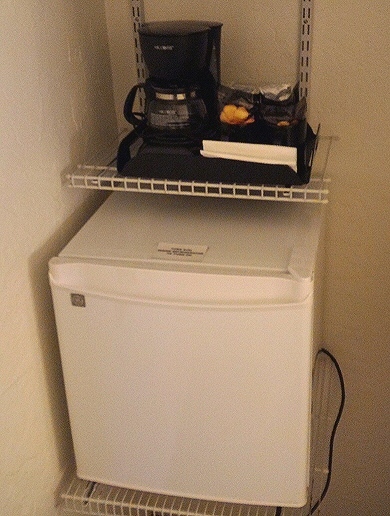 The fridge and coffee maker were in the coat closet. Despite the fairly dated decor and furniture, the room scored high on what we consider the #1 category: cleanliness. In my book you can get away with a lot if the place is immaculately cleaned. The Maui Seaside Hotel seems to understand that part; we had no complaints at all about the condition of the room. Our view was basically a parking lot view but on Maui there’s no such thing as a totally bad view. Almost anywhere you look either Haleakala or the West Maui Mountains are visible on a clear day. Maui Seaside Hotel is fairly thin on amenities, but it’s not billed as a resort so that’s perfectly fine. There is a central courtyard with a pool and patio area. We didn’t get a chance to swim but the water felt nice and the chairs were comfortable. The courtyard at Maui Seaside Hotel, with the pool and lounge chairs visible in the background. We noticed some grounds workers sweeping up every single dead leaf that had fallen on the parking lot and lawn areas. The lawn was some kind of turf that was as soft and smooth as a putting green. The combination of the workers cleaning everything up and the freshly rain-washed courtyard gave the place a very clean feel. 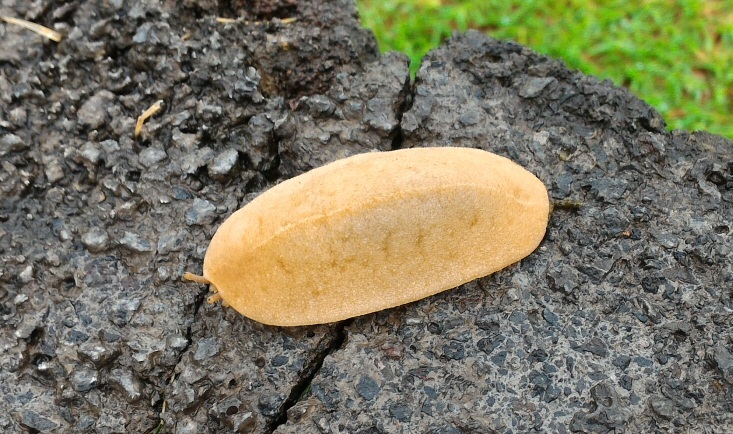 A leaf-camouflaged slug we spotted after the early morning rain. 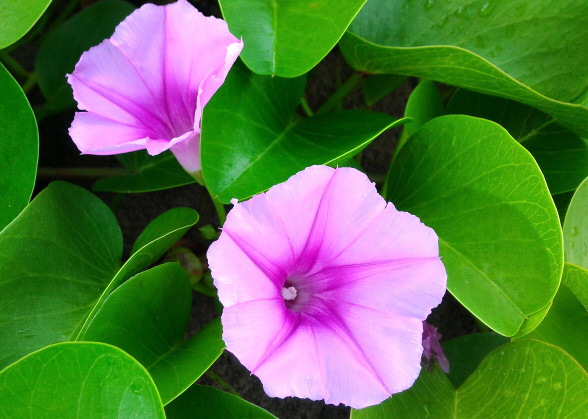 Some of the lovely flora of Maui. I took this photo while walking on the beach in front of Maui Seaside Hotel that first morning. The beach isn’t specifically meant for swimming as there’s no lifeguard or beach chairs. However, on our morning walk we saw a few people taking a dip in the morning waves. Maui Seaside Hotel is connected to Tante’s Island Cuisine (www.tantesislandcuisine.com). After our jet-lagged sleeplessness and morning walk, it was time for breakfast. 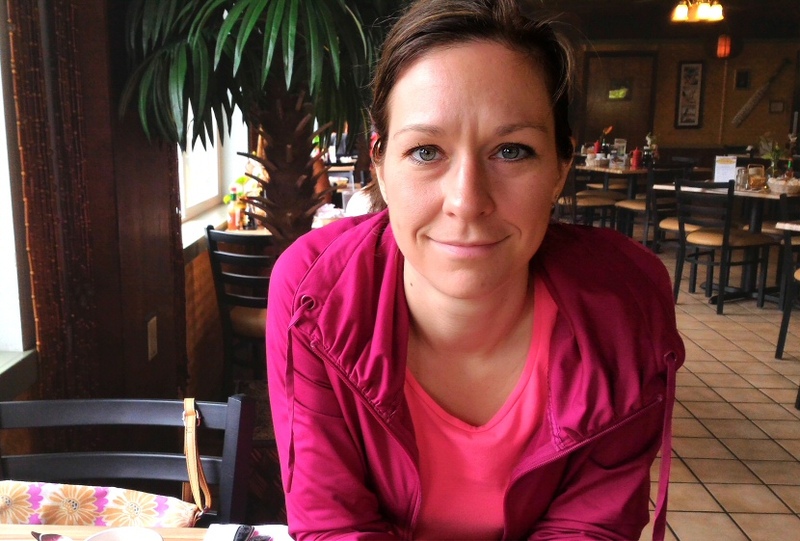 Tante’s has an awesome breakfast menu with lots of variety. Nicoleen was ready for some familiar fare, and I was excited to try one of the many savory and hearty options to kick off our culinary journey in this new destination for us. Shredded Kahlua pork, bacon, fried rice, eggs, and grilled sausage for breakfast? Why don’t we do this kind of stuff on the mainland?? Nicoleen eagerly awaiting her food, with Tante’s early morning ambiance in the background. Because we were some of the first ones in the door that morning, the food came exceptionally fast! We split Nicoleen’s meal and I couldn’t finish mine so I got a to-go box. 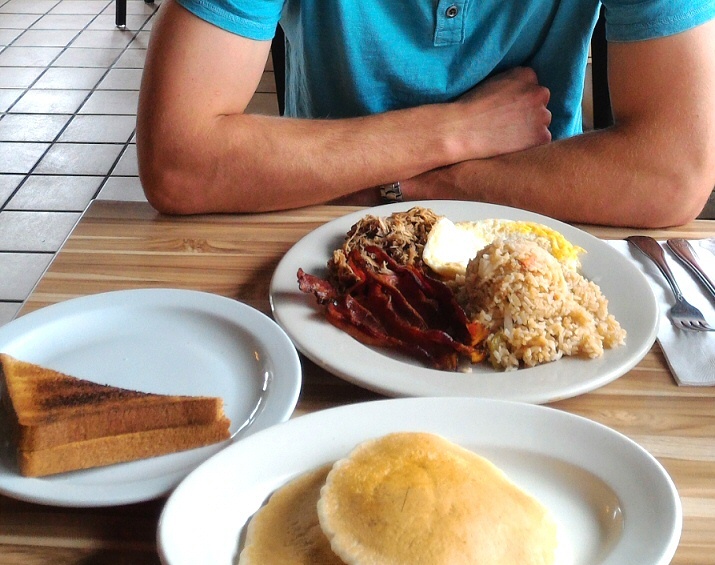 Her review was “good” and I heartily enjoyed my meat-filled, salty, island breakfast. I couldn’t tell if the passion-orange juice was fresh made or from a can, but I especially enjoyed it either way. The prices were very reasonable as well. Our one-night stay at Maui Seaside Hotel and our car rental were the only components of our trip that we paid “full price” for. Even so, I looked for a good deal when shopping around for each. This hotel provided complimentary airport transportation and was reasonably priced so it fit our criteria. The price for our room on the hotel website was $149, which turned into $168.99 with taxes and fees. As I explained briefly in the main trip review page for our Hawaiian get-away, I booked this room through Rocketmiles. Booking through that website showed the same $149 rate but after taxes and fees it was somehow $179.49. -= Rocketmiles =- makes you pay up front for your hotel stay, but gives you bonus frequent flyer miles (program of your choice) as a reward. Each hotel earns you a specific number of miles, starting at 1,000. Maui Seaside Hotel is worth 1k miles, but through an e-mail promotion I got an additional 4,000 for using a specific credit card to pay for the room. Since 5k American Airlines miles is much more valuable than the extra $11 it cost to get the room through Rocketmiles, it was well worth it! Click here to check out Rocketmiles for yourself. It’s a pretty simple program and if you’re paying for a hotel room, the extra miles earned may be worth it for you too! 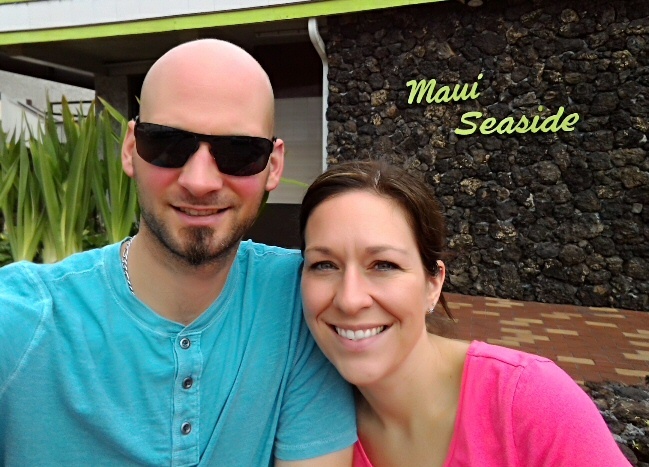 Our stay at Maui Seaside Hotel was an afterthought in the big scheme of our trip. It was basically there to absorb our first half-wasted day so we could maximize our time at the luxury resorts we stayed at for free later in the week. Accordingly, we didn’t expect much. Overall, our expectations were slightly exceeded. The place was a bit dated but was very well kept up. The few staff we encountered we very friendly and seemed to genuinely care about guests’ experiences. Complimentary airport transportation was a nice touch and helped solidify our decision to stay here. If our trip had been less resort-centric and more sightseeing-centric, Maui Seaside Hotel would have made a perfectly acceptable base of operations. If we ever return to Maui and need to pay for a hotel for one or more nights, we won’t hesitate to stay again at the Maui Seaside Hotel! Check out these other posts related to our Maui Vacation 2016! This entry was posted in Hotel Reviews and tagged Kahului, Maui, Maui Vacation 2016 on June 3, 2017 by Gomanson.